Please refer to our stock # 39B15-95 when inquiring. 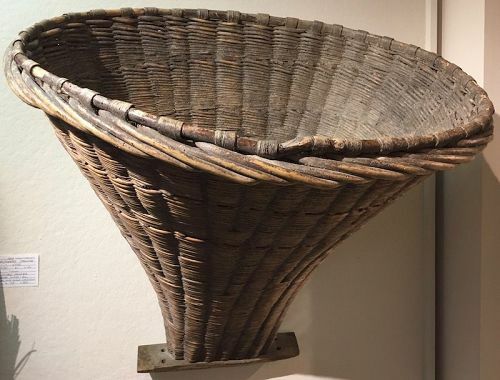 Very decorative French woven wicker gathering basket for collecting grapes for wine making. Size: 30 inches ht. x 29 inches wide x 25 inches deep. Circa 1890. Very nice original condition. Wonderful as a hanging wall display.